Arguments for raising the minimum wage typically go one of two ways. Those against raising minimum wage reason that it increases the operating costs for business, leading organizations to hire fewer people or only employee part-time employees to keep operating costs down. Those for raising minimum wage say that customers have more disposal income and are likely to reinsert their newly made money back into the economy. Now, by no means are we economic statisticians, so we decided to just step back and examine minimum wage over time. Obviously, minimum wage earnings have gone up numerically over time, but that doesn’t give us an accurate picture of it’s buying power over time. To calculate the rates of inflation, we used this calculator from the U.S. Bureau of Labor Statistics, which determines the buying power of any input currency amount for a given year within the perspective of the current year (2015). 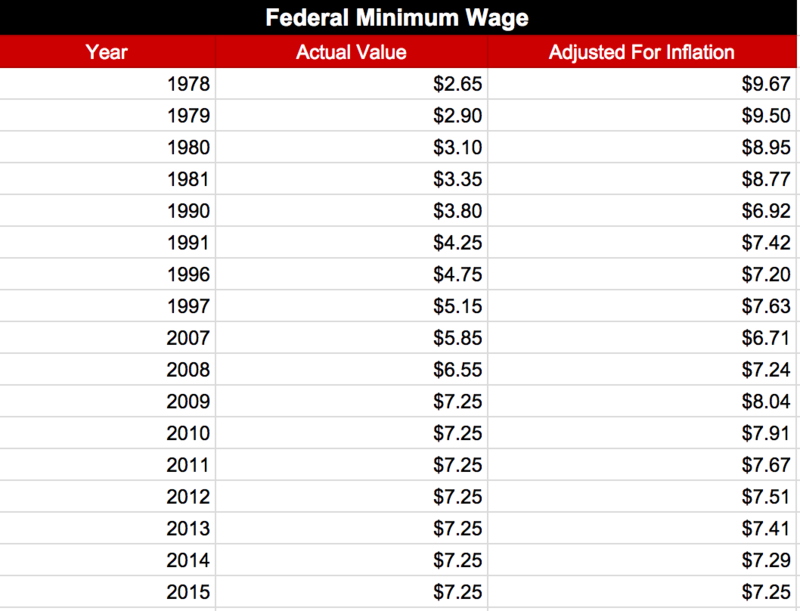 For example, the federal minimum wage in 1978 was $2.65. That may seem low, but at the time $2.65 had the buying power of $9.67. So, making $2.65 in 1978 was similar to actually making $9.67. 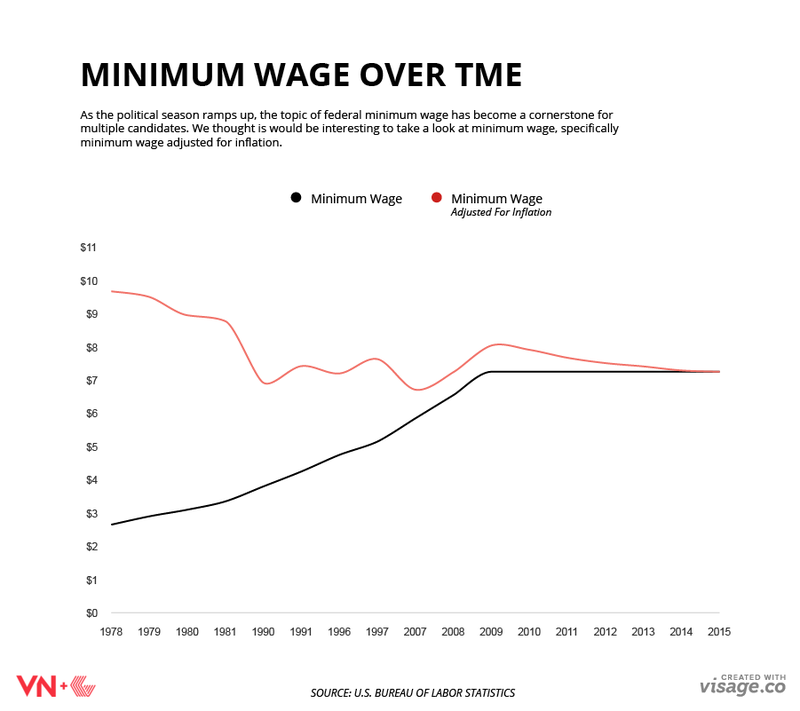 With this methodology in mind, take a look at the infographic below to see how minimum wage has trended over time.